Nuts are high in fat, primarily unsaturated fats. But this is not a bad thing. In fact, dietary fats are essential to our health and without these fats, we can develop serious health problems. What Role Does Fat Play In Our Body? Fats provide our body with essential fatty acids which are required to build & maintain our cell membranes in our skin, hair, eyes, heart & brain. Fats also help absorb & transport fat soluble vitamins (vitamins A, D, E & K) around our body, protect our organs, insulate us to keep us warm, reduce inflammation in our bodies. 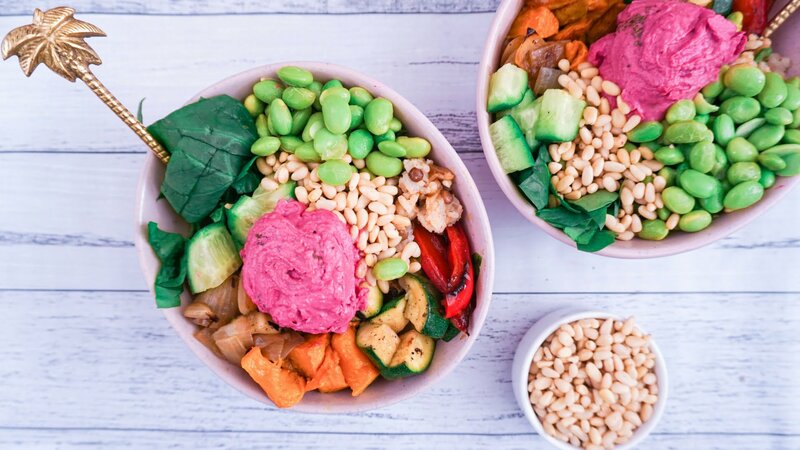 We also need fats in our diet to help make certain hormones, keep our heart healthy and to help us feeling satisfied and full after a meal. The key with fats, is choosing the right type of foods that contain healthy fats, and in the right amounts! Saturated Fats – these fats are generally considered unhealthy fats, because eating greater amounts of saturated fat has been found to be linked with high blood cholesterol, which is a risk factor for heart disease. These fats are solid at room temperature and are found in 1) animal-based products including dairy foods & meat, 2) some plant-derived products including coconut oil/cream, palm oil and cooking margarine and 3) processed foods including deep fried foods, fatty snack foods, packaged cakes and biscuits, pastries and pies, often because they are made using palm oil. Unsaturated Fats – these are classified as “healthy” fats and are essential for good health. There are two main types of unsaturated fats: Monounsaturated fats & Polyunsaturated fats.Monounsaturated fats are found in avocados, olive oil & nuts Almonds, cashews, hazelnuts, macadamias, peanuts, pecans and pistachios contain higher proportions of monounsaturated fats.Polyunsaturated fats (which include omega 3 and omega 6 fats) are found in foods including salmon, tuna, sardines and anchovies, flaxseeds and nuts. Brazil nuts, pine nuts and walnuts contain the highest proportions of polyunsaturated fats. Trans Fats– even though they are an unsaturated fats, trans fats are classified as “unhealthy fats” because they increase your level of bad (LDL) cholesterol and decrease the level of good (HDL) cholesterol in the body, which increases your risk of heart disease. Trans fats are actually unsaturated fats that have been processed & behave like saturated fats inside the body. Trans fats are found in processed foods like deep fried foods, commercial baked pies, pastries, cakes and biscuits. Spreads and margarines can also contain trans fats. However, in Australia margarine spreads are virtually trans fat free. Which Fats Do Nuts Contain? Nuts primarily contain the healthy monounsaturated and polyunsaturated fats, with a small amount of naturally occurring saturated fats. 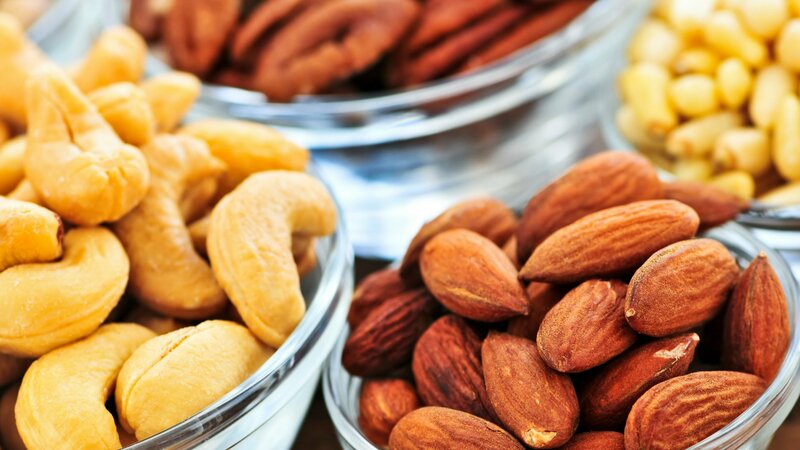 Almonds, cashews, hazelnuts, macadamias, pecans and pistachios are higher in monounsaturated fats while Brazil nuts, pine nuts and walnuts have more polyunsaturated fats. Peanuts (actually a legume and not a true nut), are higher in monounsaturated fats. Walnuts are one of the few plant foods that contain the essential omega-3 fat, ALA, with a handful (30g) of walnuts providing the recommended amounts of ALA. Smaller amounts are found in pecans, hazelnuts and macadamias. This is beneficial for those who don’t consume fish as a small proportion of ALA can be converted into EPA in the body. 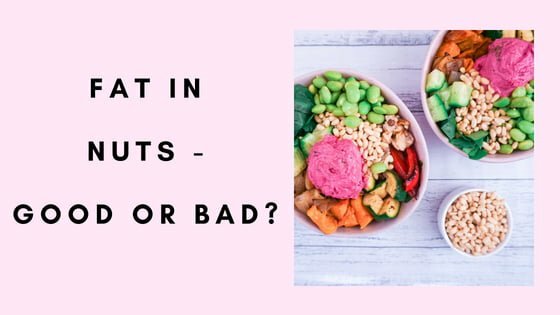 What Are The Health Benefits of The Fats In Nuts? Will Eating Nuts Make Me Fat? When eaten in large amounts, all fats, including healthy fats, can contribute to weight gain. However, this does not mean that eating foods high in fats will make you fat, especially when it comes to nuts. While nuts are high in healthy fats, research has found that eating a handful of nuts (30grams) each day can actually aid in weight management diets! Not all the fat in nuts is absorbed by the body – studies have found nut eaters excrete around 10% more fat in their stools, meaning that they absorb less fat and energy. For more information about nuts, click here.